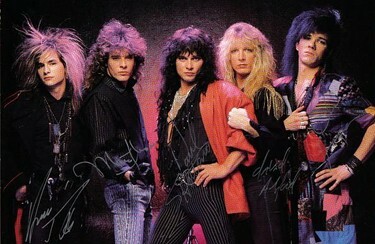 Paul Shortino burst onto the scene with Rough Cutt, who were signed to Wendy and Ronnie James Dio’s Niji Management. Rough Cutt’s self-titled album is an underrated classic as it merged hard rock and heavy metal brilliantly in one package. Sadly, the band’s follow-up ‘Wants You!’ was a slick, commercial and haphazardly put together mess. The lackluster sales, and the band’s frustration with their record label, lead to Rough Cutt’s implosion. After the group’s demise Paul stepped in for Kevin DuBrow in Quiet Riot who had a falling out with Frankie Banali and Carlos Cavazo. That combination went on to release ‘Quiet Riot’ in 1989 with little fanfare from diehard Quiet Riot fans. However, throughout the years the QR album has been given new life as fans have been revisiting it. Fast forward to 2011 and we find Shortino having released a great new album with the reunited King Kobra — simply titled ‘King Kobra’. I caught up with Paul a couple of hours before he rejoined Banali and Sean McNabb on stage for the first time since 1989. Paul was joining his former bandmates to perform a couple of tracks from the QR album during Quiet Riot’s stop in Sin City. Paul was upbeat, laid back and very forthcoming — truly one of the good guys in the business.I hope you enjoy reading this interview as much as I enjoyed conducting it. Sleaze Roxx: Let’s start off with the special event that you’ll take part in this evening. You’ll be reuniting with Frankie Banali in Las Vegas and Sean McNabb will also be taking part. Paul Shortino: Yes, absolutely. We’ve jammed together through the years. I love Frankie, he’s a great drummer and a great human being. I know why he’s doing this (Quiet Riot) — it’s a tribute to Kevin DuBrow. I’d love to do another record with the guys, there’s unfinished business that we have to do. We made a great record and maybe it shouldn’t have been called Quiet Riot — Kevin was Quiet Riot. I’m excited about doing some stuff that we recorded 20 some years ago. Sleaze Roxx: I remember going out to buy the QR album on the release date. Maybe it shouldn’t have been under the Quiet Riot name but the music stands for itself. “Stay With Me Tonight” was a brilliant choice for the lead off track, it was so different from what Frankie and Carlos had done before. Paul Shortino: That song was written for the second Rough Cutt album and it didn’t make that album so I brought it into Quiet Riot. Chuck Wright had just left the band and went back to House of Lords and Rudy Sarzo was trying to make up his mind as to whether or not he was going to join Whitesnake or stay in Quiet Riot. We tracked the song after Rudy left and I played bass on it. I brought in that song and Frankie gave it a different groove which changed the song completely. We cut a song written by Russ Ballard during those sessions too. The song was called “The Time Is Gonna Come” that featured Tommy Lee and Frankie doing a drum-off solo in the middle of the song. Unfortunately it didn’t make the record because we went into litigation for about a year. They were thinking about changing the name of the band at one point as a result. Kevin and I were friends so the whole thing was weird. It would be great to do something with these guys again. Sleaze Roxx: It would be great to have Carlos Cavazo on board too. Paul Shortino: Of course, it would have to be the same guys. I’d love to have (keyboardist) Jimmy Waldo, who was in Alcatrazz, who was part of that album. He did live keyboards and we did pre-production at his studio for about a year. Jimmy and I were under Niji Management, Jimmy was looking for a gig and he did some co-writing with us. He’s a very talented guy. 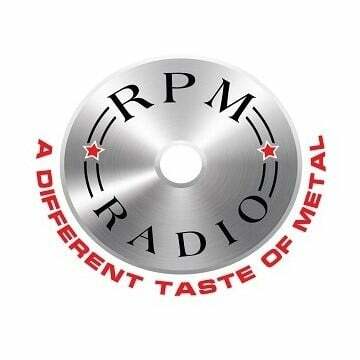 Sleaze Roxx: I remember picking up the self-titled Rough Cutt album based on word of mouth in ’85. That album still stands up to this day, it’s a great balance of hard rock and metal and the songs are great. Paul Shortino: I just found this out after Ronnie James Dio passed away. Angelo Acuri lives in Las Vegas, he was Ronnie’s soundman, and he and Ronnie did the first three Dio albums together. Angelo was telling me at Ronnie’s memorial that they were really disappointed that they didn’t produce the first (Rough Cutt) album. We did a lot of work with Ronnie and Angelo in the studio and Angelo said to me, “Working with Rough Cutt got us ready to do the ‘Holy Diver’ album.” I think that had Angelo and Ronnie produced the first album it would have been rawer. Ronnie brought us on the Sacred Heart tour and he was carrying the band and really trying to break us. Paul Shortino: It’s unbelievable isn’t it? He was just too young to go. It was shocking in the sense that he went so quickly. It was like 6 months after we learned that he had cancer that he was gone. If you think back to a year ago at this time, 12 months ago he was in the hospital battling for his life. Ronnie’s spirit will live forever, there’s just so much truth to the things that he spoke about in his songs. He was a deep and humble man. He’s truly missed. Sleaze Roxx: A person like Ronnie James Dio and a voice like his, I don’t think it’s out of line to say that he’s the closest thing we’ve had to Elvis Presley. In fact he might have surpassed him as he battled the disease valiantly till the very end. Paul Shortino: Oh absolutely. It’s so amazing that you say that. 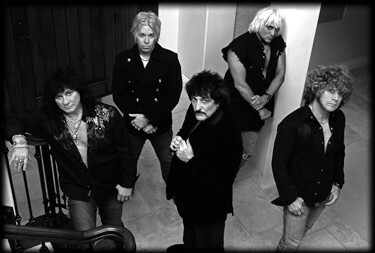 Carmine Appice and the guys went out to see him at the hospital and one of Ronnie’s hands was paralyzed. Carmine said that Ronnie looked up at Wendy and he touched her with his hand, the hand that had been paralyzed, and passed away. That was heavy duty… heavy duty. I was going to be head out to see him on the 16th of May, unfortunately he passed early that morning. Sleaze Roxx: Getting back to Rough Cutt, what was the extent of Ted Templeman’s involvement with the band? 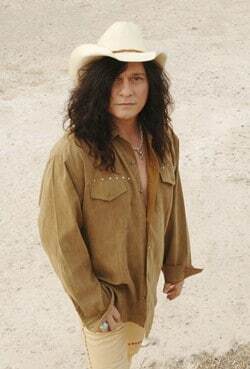 Paul Shortino: Ted was supposed to produce both of the albums — Ted signed the band. Ted is who we were waiting around for several months. I think if Ted would have produced us Warner Brothers would have known that they had a band called Rough Cutt on the label. Ted Templeman was the executive producer at the label. It’s amazing, we’d do an in-store in some towns and there wouldn’t be any albums on the shelves because the local representative wasn’t a rock or metal fan. Then we’d play Cleveland and we’d do an in-store and we’d get picked up in a limo and things would be organized. If you’re doing an arena tour supporting a big band and your albums are nowhere to be found in local stores — that’s a problem. Sleaze Roxx: What’s your take on the production by Jack Douglas on ‘Wants You!’, because it’s pretty slick. Paul Shortino: The debut album was slower and heavier and the second was more upbeat. ‘Wants You!’ should have been heavier and faster than the first record. I wanted Neil Kernon to do the second album because I was impressed with Dokken’s ‘Under Lock & Key’, which he produced. I liked Neil because he was also a songwriter. Rough Cutt needed a guy like him that could see the potential in us. We had met with Neil on a couple of occasions, he came out to see us when we were opening up for Dio. He played us the Dokken album which he had just completed and we loved it. In addition to a songwriter and producer he’s a brilliant engineer. I thought he had a lot of great skills that would have been very beneficial for a band with five creative guys. We all collaborated as a band — there were good ideas and bad ideas. We would have really benefited from Neil coming in as an outside party and give us his feedback. I’d like to take best songs from both the albums, and the studio tracks from the live album “Prowler” and “Peyote”, and make the ultimate Rough Cutt album. 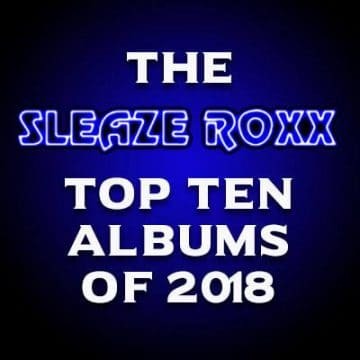 Sleaze Roxx: The debut album is the fan favorite. Paul Shortino: Yeah, it’s my favorite as well. I think that the only song that might be too happy is “The Kids Will Rock”. I like “Rock The USA”, “Hott ‘N’ Heavy” and “The Night Cries Out (For You)” off of ‘Wants You!’. The version of “The Night That Cries Out (For You)” has this crazy jazz thing going on but that wasn’t how I envisioned it. I wanted it to be more like a “Love Hurts” kind of song. I would like to change the vocal melody for “Don’t Settle For Less” — I think it’s a little bit too happy. I like the technology that we have today. I can be in my pajamas working in my studio on songs and fix the things that I don’t like. Things like that would have been great back when we were working on ‘Wants You!’. Sleaze Roxx: Getting into your involvement with King Kobra, did you have any second thoughts about once again getting involved with a band that has its own history? 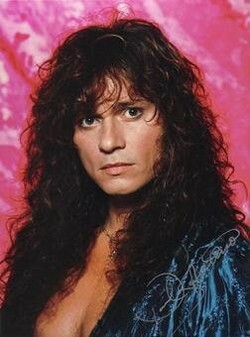 Paul Shortino: In the case of King Kobra I really wanted to do an album with Carmine, he’s one of my favorite drummers. I remember seeing the guy on The Ed Sullivan show when I was a kid. I’ve worked with Carmine before, we did “Dragon Attack” on the Queen tribute album and a couple of other things. Doing King Kobra was going to be my first time really working with Carmine. We’ve become very close friends. We worked on a project with a blues guy by the name of Javier Vargas who has an album coming out in June via Warner Brothers in Spain. We did a video for the Beck, Bogart & Appice track “Lady” — be sure to check it out. We also did a new version of “You Keep Me Hangin’ On” for the Javier Vargas album. I really hit it off with David Henzerling — between David, Carmine and myself we became a pretty good writing team. Carmine and I are close in age, we are both of Italian decent, so we really bonded as friends and songwriting partners. We’d like nothing more than to take this on the road. We have to be cautious because of the economy — maybe some festival appearances would be our best bet. King Kobra had an underground following even though they didn’t get to the level of a band like Ratt and bands like that. I think they should have been bigger because they put out some very good stuff. Mark Free was a good singer, but I really think I would have hooked up with these guys back then because we made a good marriage. You want proof, just listen to this record — this is some of the best stuff that I have ever done. I love the quality of the songs, my voice, the charisma and the magic that we created on this album. 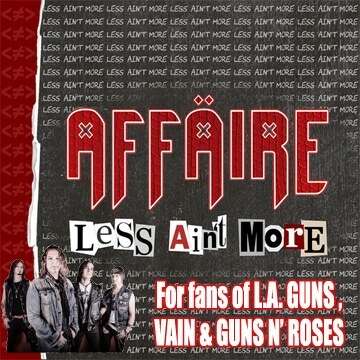 Sleaze Roxx: I got a chance to talk with Carmine and I made mention that I really liked how you guys sequenced the album. It has a brilliant flow. Paul Shortino: Frontiers wanted ’80s… we gave ’em ’80s. There’s nothing wrong with that because it was a good time period and there was some good music then too. There were a few song ideas that we brought in from the old King Kobra days but if you listen to the album as a whole you’d never know what was from that era and what was recently written. If you take a listen to the song “Top Of The World” it has a little bit of a Foreigner vibe to it. I think “Turn Up The Good Times” is pure ’80s and highlights that time. It was a fun time man. Sleaze Roxx: I’d love to see you guys do some live dates. Paul Shortino: Of course. David was saying, “It’s too bad that this is Carmine’s band because we could get another drummer and start touring” (laughs). You see, Carmine is at a point in his career that he doesn’t want to play in clubs. I can respect that, but I would play clubs. I know David would play clubs and the rest of the guys would play clubs. Carmine just wants to get us on some big things so that a lot of people get a chance to see the new King Kobra. Carmine likes to keep himself elevated, he does drum clinics and he tours with other artists — he did a tour recently with Michael Schenker. We’re already slated to tour behind this Javier Vargas album, we’re booked for this in October of this year. The guys that did the video for Vargas for the song “Lady” did the King Kobra video for “Turn Up The Good Times.” The thing will remind you of an old Van Halen video man (laughs)! 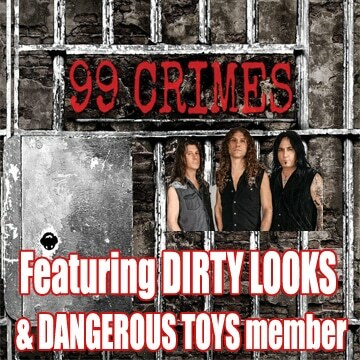 Sleaze Roxx: Paul, have a great show with Quiet Riot tonight and see you soon. Paul Shortino: Thank you, it’s going to be fun. It’ll be like traveling back in time.